Darren Espanto will perform at the finals of China’s singing talent show, Singer 2019. Another ABS-CBN singer will represent the Philippines in China's Singer 2019. Darren Espanto will be a guest performer in the finals of the Chinese singing competition. The episode will air in China this Friday, April 12, 2019. “I'm very happy that I was chosen as a guest performer of Singer in China. The first time I heard about the news I was excited and at the same time nervous—I had mixed emotions. But mostly happy,” said Darren in an article published by ABS-CBN News Online. The 17-year-old performer revealed that he went to China three months ago to meet the team behind Singer 2019. “Yung mga taga China po, they contacted me through my record label and they asked if I could guest nga po. Actually I went there and I got to meet the director and the team behind it. They asked me to sing a few songs din po. Nagulat po ako na a week and a half ago, they said na mag-guest nga daw po ako sa finals." Darren is the second Filipino artist who will perform at the Singer stage after KZ Tandingan joined Singer 2018 last year. KZ was eliminated from the show but Jessie J invited her to return so they could perform "Bang Bang" during the grand finals. In the end, Jessie J became the winner of Singer 2018. 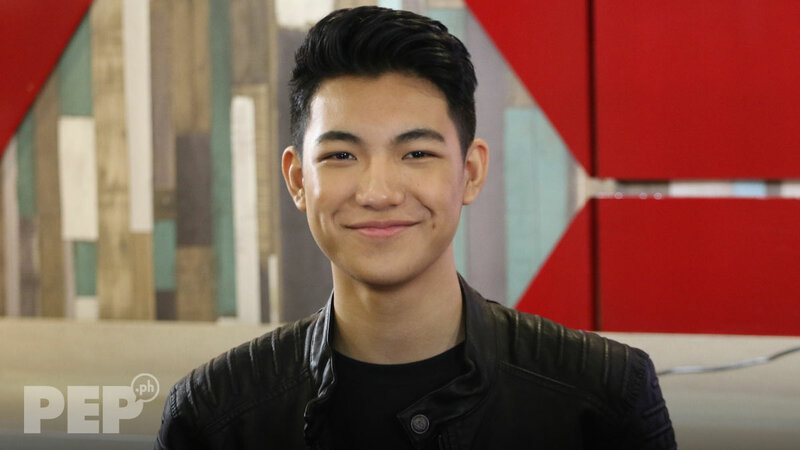 Darren is best known for being the runner-up of the first kids' edition of The Voice of the Philippines. In his Instagram account, he posted an Instavid of the fans who waited for him to arrive at a Chinese airport. Darren wrote in the caption: "Wow! What a warm welcome, China! I didn’t expect this at all. Thank you!"